Once upon a time, a nice woman named Susan walked into her doctor’s office looking for a solution to her terrible back pain. While there, she also asked the doctor about her anxiety, which was getting worse and worse. “You’ll have to see a psychiatrist for that,” he said. Back pain and the emotions are unrelated. Or at least that’s how Western medicine sees it. They’re separate — so separate that they require different doctors, different appointments, and different treatments. If this approach worked, it would be one thing. But it doesn’t work. Not for millions of people. The story about Susan is true, by the way. It actually happened to one of my students before she came to learn from me. The doctor couldn’t heal Susan’s back pain, nor was the psychiatrist able to cure her anxiety. That’s why she came to me. I’m happy to say that I helped her with both problems. Today, she is not only pain free, but she no longer suffers from anxiety. So how did I do it? Well, for starters, I didn’t separate between physical pain and the emotions. Here’s an interesting fact: Despite its 4000-year history, Chinese medicine never developed a branch of psychiatry. Why not? It’s because psychiatry is included in every branch of Chinese medicine! 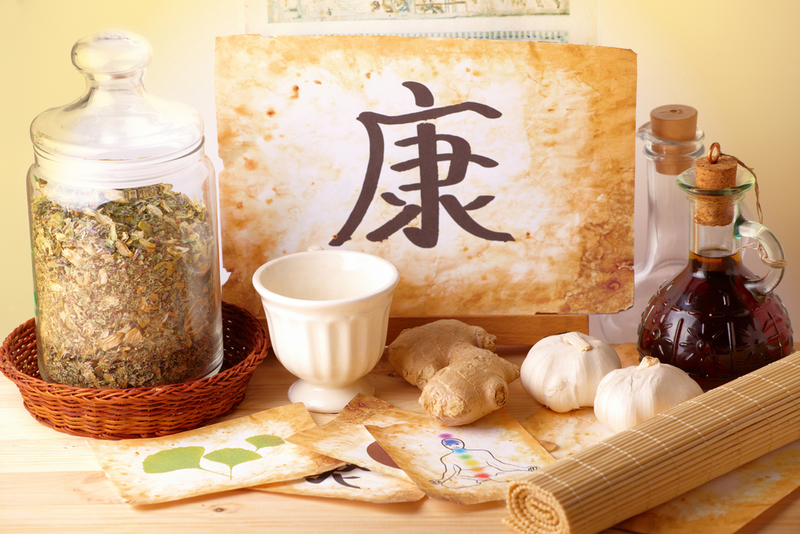 With Chinese medicine, you don’t deal with physical pain only, or emotional problems only. A Chinese physician would never expect to heal physical pain without also dealing with the emotions — because they are two sides of the same coin. Qigong is the best of Chinese medicine. It requires no pills, no doctor, and when done right, it is more powerful than all of the other branches. And one reason it’s so powerful is because it is supremely effective at smoothing out the emotions. Students are often surprised when I ask about their emotions. “Sifu, it’s my back that hurts! This is a physical problem!” It’s not true. Your back pain has an emotional component. I guarantee it. If you don’t deal with the emotional component, you won’t get rid of your back pain. I used to have terrible low back pain that started about the same time as my depression. At the time, it never occurred to me that the two could be linked. Now I know that if I hadn’t dealt with the emotional aspects of depression, then I never would have gotten rid of my back pain. Did you know that back pain will affect 8 out of 10 Americans? That’s 250 million people! That’s all the proof I need to know that back pain isn’t just physical. If it were, then Western doctors would be able to do a better job of fixing it. But they can’t. Despite their space-age surgery techniques, the most powerful pharmaceuticals, steroids, or the best physical therapy — Western medicine is largely ineffective when it comes to back pain. (And please don’t get me started on the side effects of these options!) Western doctors don’t have a solution, and that’s because they’re looking in the wrong place. Chinese medicine does have an affordable and effective solution. Obviously, I’m a big fan of Qigong and Tai Chi, and I’ve had amazing success using it to treat back pain in myself and my students. But I’ve also seen people heal back pain with acupuncture and herbal medicine. That’s because both are forms of Chinese medicine, and both methods recognize the emotional factors in dealing with back pan. In other words, we’re looking in the right places. Everyone knows that heart disease has an emotional component, right? People accept that stress and the emotions are involved, even though it would be easy to view heart disease as a purely physical issue. But when it comes to back pain, no one wants to talk about the emotions. Why is that? Western medicine is still very young and hasn’t worked out all of the kinks (ahem, including those little kinks that make it the 5th leading cause of death in the US). Often, it is inconsistent in its views. For example, Western medicine recognizes the placebo — which is concrete scientific proof of the power of the mind — and yet prefers to sweep it aside rather than investigate it. Similarly, Western medicine recognizes emotional factors in certain diseases, but not others. Back pain is still viewed by most doctors and patients as “physical”. The emotions, according to both doctor and patient, aren’t involved. In fact, most doctors prefer not to deal with the emotions at all. They prefer to leave that stuff to psychiatrists and psychologists. So how does it work? How do the emotions affect your back? The simple answer is that emotions block the flow of energy (or Qi) in the body. When the energy gets blocked, there is pain. And that’s a good thing. Pain is good! Pain is a signal. It tells you that something is wrong. In the case of back pain, it tells you that your emotions are stuck. Stifled. Repressed. They are so repressed that, even now, you’re probably resisting the idea that your back pain could be anything more than physical. Talk about stubbornness! Accept that your emotions are part of the equation. They are blocking your energy, and that energy is causing pain. The problem MUST be energetic! I know what you’re thinking. Already, you’re slipping back into “It’s just physical!” mode. Let me ask you a question. How is that type of thinking working for you? How is it working for the 250 million Americans who suffer from back pain? There is a strange phenomenon in the world today. Alternative forms of medicine, like acupuncture and Qigong, get criticized as being unscientific (which, by the way, is completely untrue) even though they are clearly effective. Meanwhile, the so-called “scientific” stuff sometimes isn’t effective. In other words, it’s “scientific” to keep spending billions of dollars on methods that don’t work, while criticizing methods that do! This is dogma, not science. Unfortunately, it’s rampant in the medical world. What’s worse is that there are some frightening stats in the world of medicine that are just getting ignored. For example, did you know that half of the methods used by Western medicine aren’t even based on scientific evidence? Yes, you read that right. Don’t believe me? Then read Dr. Makary’s excellent book, Unaccountable, for more on this subject (and some terrifying stories about hospitals!). When I make arguments like this, people sometimes accuse me of criticizing Western medicine. And that’s a bad thing how? I thought that it was supposed to be peer-reviewed and evidence based? Sorry, but when it comes to dealing with back pain, Western medicine gets a bad review from me (and 250 million other Americans). If someone were trying to present Qigong as an excellent solution for emergency medicine, I would criticize it myself. It’s not! Go to the emergency room! In other words, let’s recognize the strengths and weaknesses of each type of medicine. This is my number one recommendation. I’ve seen Qigong get results where surgery, pharmaceuticals, and even acupuncture were ineffective. But it has to be real Qigong, and you have to learn it face-to-face from a master. In the meantime, you can start right now with a free online course. The Neuro-Emotional Technique (or N.E.T. ), which is based on the principles of Chinese medicine, is amazingly effective at resolving emotional blockages, and thus healing physical pain. Click here to find a practitioner near you. You desperately need to learn to relax your nervous system. When you relax your nervous system, the emotions are able to flow again, and pain starts to release. This is the basis of meditation, as well as Qigong. My free audio lesson is a good place to start. Fear is huge when it comes to back pain. According to Chinese medical theory, the Kidney Meridians correspond to all fear-based emotions. It’s not easy, but you need to master your fear. In the Zen tradition, this is called “dying before you die.” If you allow yourself to face and experience the things that you’re afraid of, back pain will often melt away, sometimes instantly. Back pain is not just physical. The sooner you recognize this, the sooner you can start to heal. I’m guessing that, if you’ve read this far, it’s because the orthodox treatments have already failed you. Luckily, there are other, more effective options. I know how painful back pain can be, and I also know that you don’t have to live that way. I speak from experience when I say that you absolutely can get rid of your back pain — as soon as you start to admit that it’s not just physical! Do you know someone with back pain? Then please share this article using the buttons below. Or drop me a comment if you have questions. And if you haven’t already gotten your free online qigong course, then make sure to get it here. I can testify! Ironically I work part time at Shand’s Pain Clinic. One day I was in so much back pain I couldn’t even walk down the hall to leave the building. A nurse saw me and I asked what they would do for me in such a situation. The answer was localized shots (steroids?) and a long haul of physical therapy and thousands of dollars. Nix to that. You insisted I see Akemi – after a ten minute session the pain was 50% better so I was also able to attend your classes which I couldn’t do the day before. The next day all the pain was gone. Amazing! I’m glad you’re out of pain, Judy. You were smart to steer clear of the steroids. The latest research is really damning of them. My experience fully supports this. I suffered reocurring back pain since I was a teenager and several years for disc herniation in adulthood. Doctors could not help me much. After a month of doing simple excercises which I got from Sifu Wong Kiew Kit (via email) the pain almost complettely stopped even though I also stopped watching for myself. Then I learnt chi kung directly from Grand Master Wong with the benefits that exceeded all my expectations.